Hundreds of people gathered in downtown Toronto on Saturday afternoon to transform the two-word social media discussion #MeToo into action against sexual harassment and assault. Hundreds of people gathered in downtown Toronto on Saturday afternoon to transform the pervasive two-word social media discussion #MeToo into action against sexual harassment and assault. 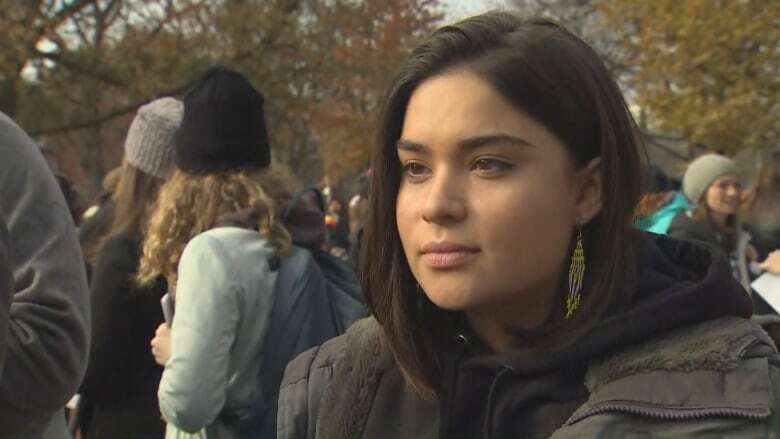 For many marchers, like Canadian actress and director Devery Jacobs, it was the first time they had publicly shared their experiences as survivors of sexual misconduct in the workplace and their personal lives. "It's really sickening to see how many people have gone through this and how many perpetrators have gotten away with it," Jacobs told CBC News. "I think it's just really important for women and men alike to stand together and call these people out, and also heal and move forward." The march began with a rally of speeches from a dozen people at Queen's Park at noon before proceeding around two kilometres south to Nathan Phillips Square. As they marched, the crowd chanted, "We are equal" and "Whose body? My body." 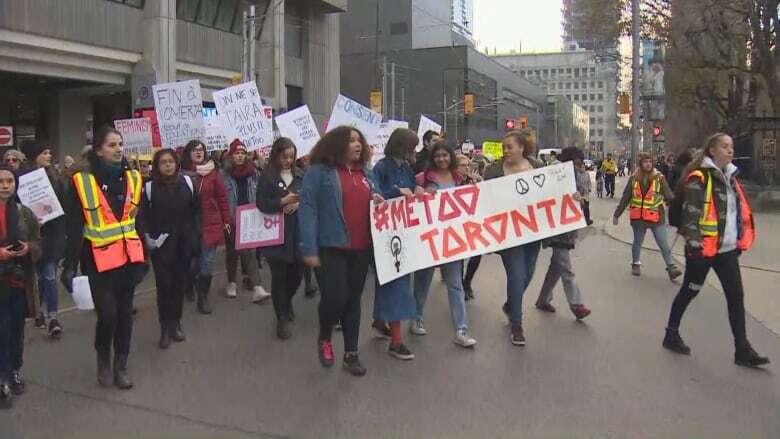 Toronto's march follows a similar one held last month in Los Angeles where thousands took to the streets with banners and posters to denounce sexual harassment and assault in the workplace. Organizers say the Toronto event was inspired by a torrent of sexual harassment and assault allegations against high-profile figures in the entertainment industry and politics. 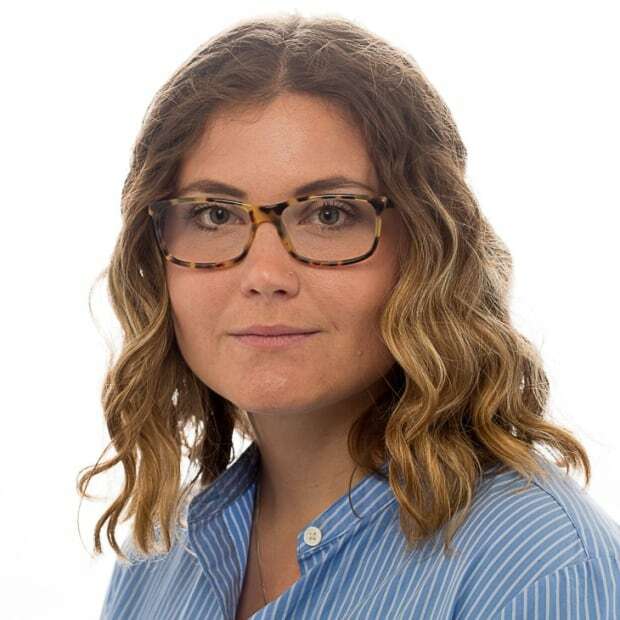 Alathea Milne-Hines, one of several organizers of the march, said the idea to hold the event began shortly after she started reading #MeToo posts back in October. #MeToo is the social media campaign that exploded online to disclose experience with sexual harassment and assault and exposed the scale of such abuse in everyday life. "I was overwhelmed with this feeling of empathy, as a survivor of sexual abuse myself," said Milne-Hines. "I just felt this feeling my gut, something else needs to happen beyond the social media realm." The viral movement was triggered by sexual misconduct allegations against disgraced Hollywood film producer Harvey Weinstein that emerged in early October, but the subsequent fallout has led to a growing list of others who have been accused. From film director James Toback to actor Jeffrey Tambor and Kevin Spacey, along with comedian Louis C.K. to more recently NBC's Today Show host Matt Lauer and producer Russell Simmons, alongside former Blue Jays' catcher and Sportsnet's baseball analyst ​Gregg Zaun, ​there has been a tidal wave of accusations that has sidelined many careers. "I definitely see that change is happening, especially like in the film industry. Nobody thought that anyone would be called out like this," said Jacobs. "It is an exciting time and it's an incredibly difficult time with everyone coming forward and sharing their stories, but it's also empowering. It's like it's a new chapter in the time of being a woman." The Mohawk actress, 24, is also involved in spearheading a kindred social media movement dubbed #AfterMeToo. She describes it as a post-Harvey Weinstein era that is now focusing on next steps in the Canadian film industry. "Instead of just coming forward with thoughts and prayers, while we do need to talk about it, I do believe that real change needs to ensue," she said. #AfterMeToo emerged by Canadian film director, writer and producer Aisling Chin-Yee and Toronto-born actress Mia Kirshner calling for a major cultural shift in Canada's entertainment industry that's long overdue. Earlier this week, in an interview with CBC Radio's Day 6, Chin-Yee said: "We're finally listening to survivors; we're believing them — hopefully we're believing them. "And this will, hopefully, change the culture for not putting up or not tolerating these types of abuses — or perpetuating this culture of silence." 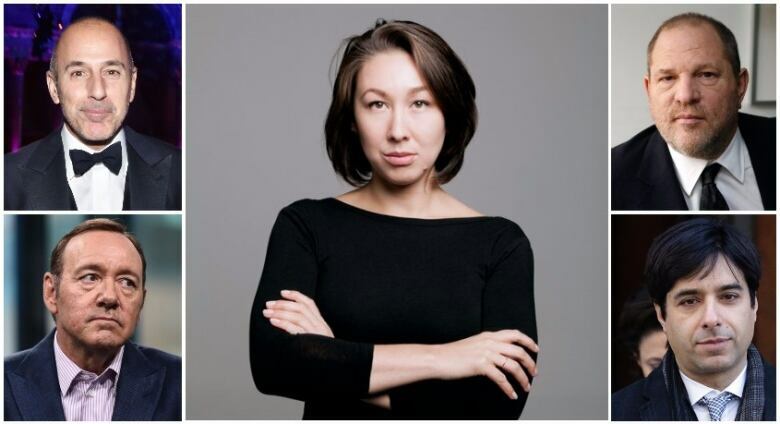 In an effort to advance the conversation, Chin-Yee and Kirshner are hosting a symposium in Canada's largest city next weekend to drum up solutions, with Jacobs as speaker. "We have specific like points of change that we'd like to address to make sure that we're protected and also just figuring out and addressing the different reasons why people haven't come forward," said Jacobs. "It's just exploring the different sides of this really messed up coin and how we can change that going forward, and ensure these concerns are really taken seriously."